It’s not an easy question, or an easy answer. What health care reform will mean for senior living providers and their employees is something all businesses will have to consider if they are not already doing so. And what it will cost may be, for some, a million dollar question. At least. There are still some unknowns when it comes to health care reform, but the change is already under way. Currently, the Supreme Court is considering the constitutionality of the Affordable Care Act, passed into law by the Obama Administration in March 2010. Some of its components, namely a health care mandate for all citizens, have been questioned as out of bounds in terms of what the U.S. government can and cannot do. While companies await the final Court decision on the constitutionality of the law, expected this summer, there are still some certainties about the future of health care. For starters, it is going to cost senior living employers a lot. In a recent survey of mid-market clients, global insurance broker Willis found largely that companies did not understand health care reform. When asked if they thought it would help cover the uninsured, the answer was: maybe. But on the question of whether it will bring costs down, the outcome was not what reformers had intended. The effects could be stronger for the many senior living providers who do not currently have full enrollment of their eligible employees. Many opt out of health plans due to the cost. A $2,000 per-employee tax for companies with more than 50 employees that do not offer employer-sponsored insurance is also scheduled to take effect in 2014, introducing another cost for employers. By Willis’s rough estimates based on a company with 800 employees, the tax could amount to upwards of $3 million in 2018. Companies are currently weighing the potential penalty against the cost of insuring employees. But weighing the costs is not black and white. The new law requires state health care “exchanges” that offer federally-subsidized plans on an individual basis. Continuing care retirement community (CCRC) Gold Medallion, based in Tulsa, Okla., says it is looking at the options, but is in “wait-and-see” mode until a decision has been made. “It may possibly become necessary to have our employees enroll on the federal [exchange] plan,” says Diane Hambric, who operates the CCRC. But, she says, the flexibility of having 220 employees does make things easier. In contrast, Seattle-based Emeritus Senior Living, with 28,000 employees nationwide, currently has roughly 19,000 who are benefits-eligible. Of those, 10,000—or roughly 60%—are enrolled in one of the three health plan options the self-insured company offers. But the outcome of the employee mandate decision could mean insuring all 19,000 and offering plans accordingly, says Pam Engle, vice president of benefits and compensation. Emeritus has contingency plans depending upon the Supreme Court decision. In the meantime, it has an optional wellness plan in place in an attempt to drive—and reward—smart health decisions by employees. “It’s a good thing to do in general, but we were certainly spurred by the need to control medical inflation,” Engle says, of the plan, which has about 30% enrollment currently and offers incentives for joining. Other providers, too, are going the route of wellness. Senior Lifestyle Corp., based in Chicago, has a total of 4,700 employees and is preparing for change. Also self-insured, Senior Lifestyle offers an incentive for enrolling. “A lot of our employees participate because of the immediate economic benefit,” says Adam Kaplan, vice president of operations. This year, the company modified the program to include a contract stating that employees would not smoke. While it is difficult to calculate the return on investment, Kaplan says the response has been encouraging. “As a self-insured company, we benefit directly from any reductions in our expenses,” he says. Smaller providers may take the wait and see approach, pending the upcoming decisions. Diamond Willow offers health benefits to its 400 full time eligible employees, and also offers access to a wellness program through its insurance provider. Education is the important factor right now, Zeleznikar says. For that reason, care might not happen within the 9-to-5 window when it’s most readily available, forcing them to get care through emergency rooms and drive up the costs, she says. At the end of the day, senior living providers are anticipating big changes in the delivery of health care to their employees. “Health care costs are going to rise. The more you can prepare for that and put into place strategic measures like wellness programs, the better you will be in the future so you don’t one day have to make drastic changes,” Kaplan says. Providers looking at the bottom line know the impact will be significant. 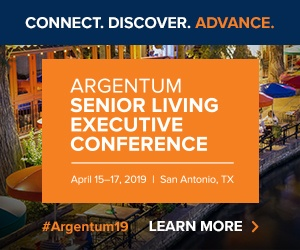 This article is sponsored by the Assisted Living Federation of America (ALFA) as part of its efforts to advance excellence and explore topics impacting the future of senior living. For more information about ALFA, visit www.alfa.org.